Visits to the proto-Christian catacombs, the Archeological and the Folklore Museums, as well as the Ecclesiastical Museum-Reliquary of Agia Triada, are a must; an additional visit to the Archeological Museum at the adjacent small island of Kimolos is also worthwhile. 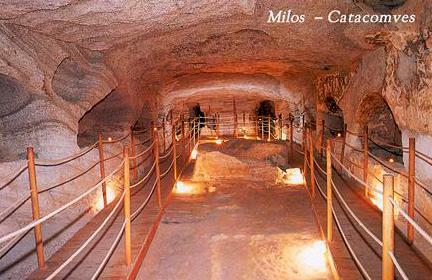 The catacombs, a paleochristian cemetery on the island of Milos, are situated in the area of the present-day hamlet of Trypiti. They were probably founded at the end of the 2nd century AD and, according to surviving inscriptions as well as the ornaments on several graves, it seems that they were used as burial grounds until the end of the 5th century. The wider area of Trypiti is full of caves, carved in the porous volcanic rock, that were used by the island’s population in antiquity as family funeral chambers. The catacombs were known to the locals as “the Greek Cave”. In 1844, archeologist Ludwig Ross, then the French archeologist Charles Marie Adolphe Louis Bayet in 1878 and later Georgios Lampakis in 1907 visited the catacombs that were subsequently studied systematically by Professor Georgios Sotiriou. 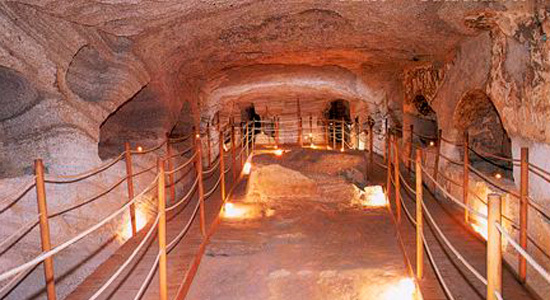 The catacombs in their present-day configuration constitute a network of three large underground galleries, interconnected through artificial passages that were opened up in the 20th century. Each of the three large galleries is also connected to smaller ones, as well as to a recently constructed chamber. In addition to the graves that were carved in the rock walls, there is also a large number of rock-cut tombs in the floor, covered with untreated plaques of unequal size. 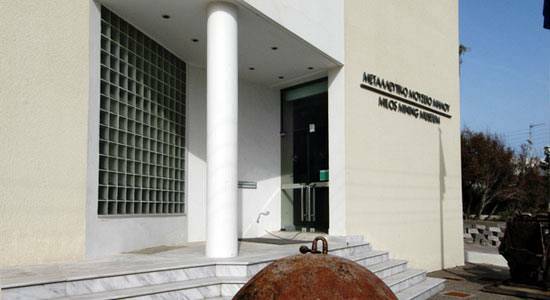 The Milos Mining Musem is located in Adamas. 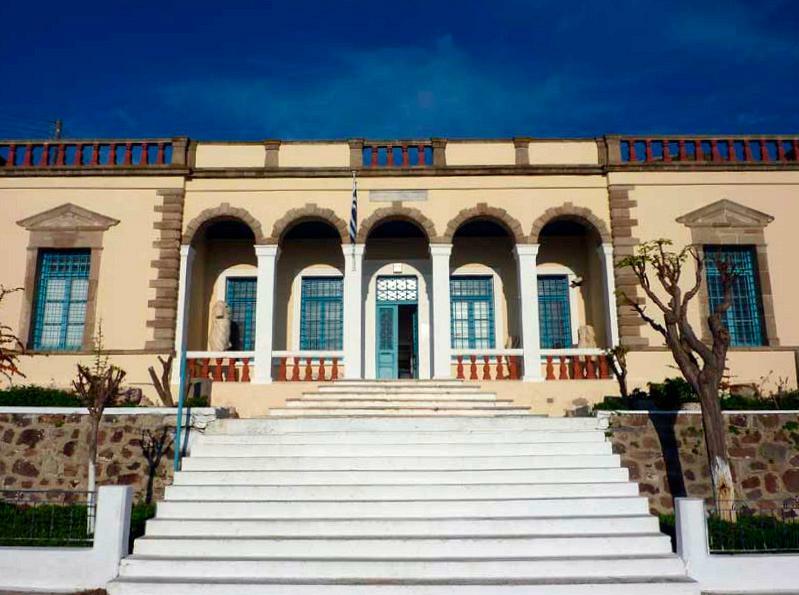 The Museum’s aim is to promote the rich geological and mining history of Milos and to pay homage to all those who have worked hard in order to develop the island’s mineral wealth that contributed greatly to its financial and cultural affluence during its long and uninterrupted history. • A collection of inscriptions. 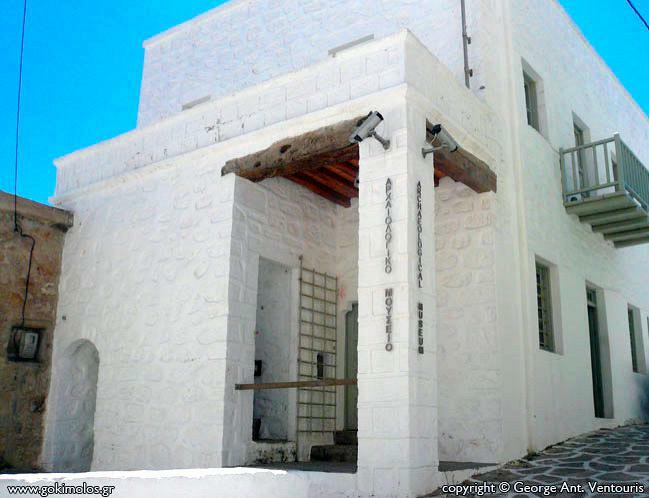 Behind the church of Panagia Korfiatissa, in Plaka, one can find the Historical and Folklore Museum of Milos. 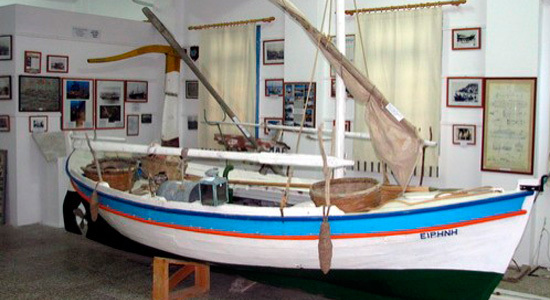 It was created in 1967 by the “Association of Milos islanders in Athens” and presents aspects of everyday life on Milos after the 17th century, and mainly between 1850 and 1930, which was the island’s heyday. 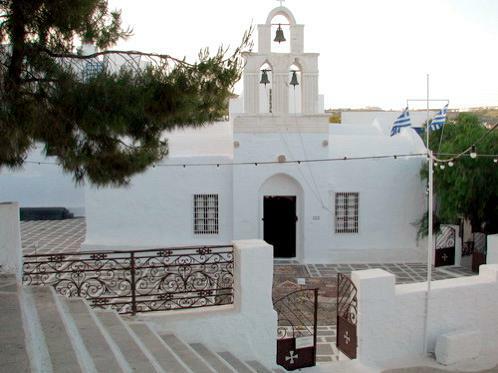 The church of Agia Triada, very close to the harbor of Adamas, houses the Ecclesiastical Museum. This thousand-year-old church is characterized, from an architectural point of view, as a “cruciform three-ailed basilica with dome-vault”. This type of church is extremely rare (there is only one more of the same type to be found in Levidi, Prefecture of Arcadia, in the Peloponnese) and is architectonically very interesting: it consists of three aisles, while the cupola, in the same shape as the church itself, was raised laterally to the length of the building. 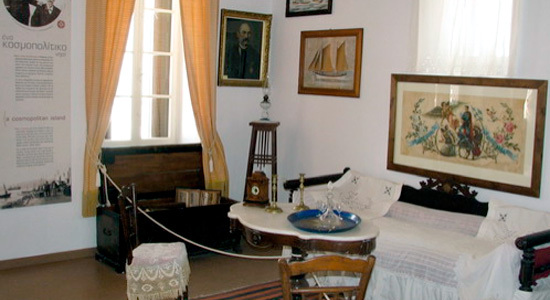 The Museum opened to the public in September 2008 and is housed in the old Municipality building, on the harbor’s front. 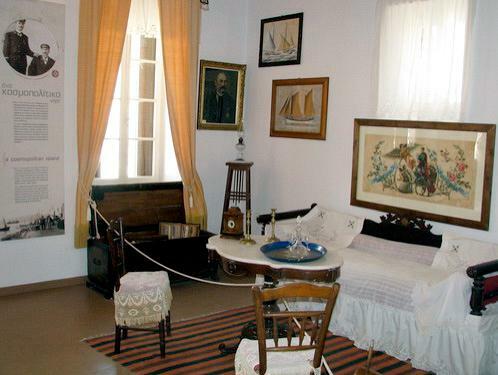 It was created thanks to the tireless efforts of one of the island’s doctors, Petros Armenis, who collected a large number of exhibits relating to the nautical traditions and activities of Milos. 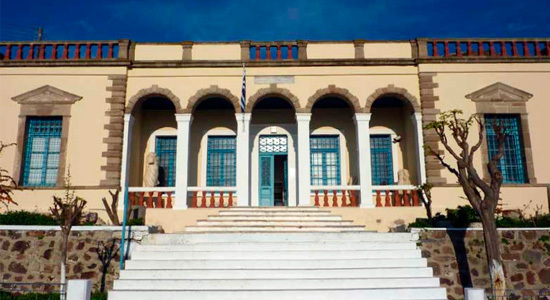 Exhibits cover the whole period of the island’s habitation from prehistory, such as obsidian tools, to historical times, such as exhibits from the naval battle of Salamis, and all the way to the modern era. 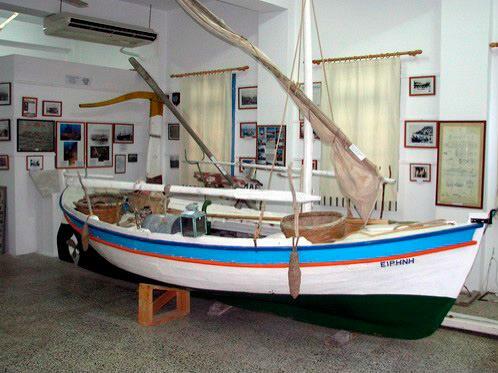 In the Nautical Museum one can see rare maps and portolan charts, drawn by expert map makers, as well as “Irini”, a famous wooden dinghy. 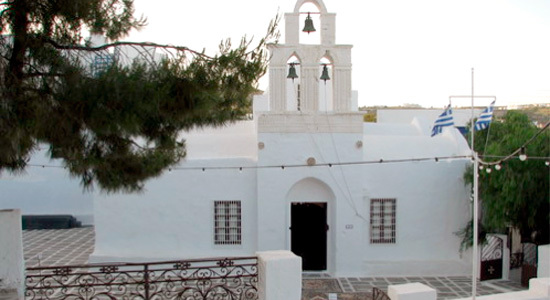 The Kimolos Archeological Museum is situated in the center of the village, opposite the Church of Panagia Odigitria. It is housed in a traditional building, one of the village’s oldest, and opened to the public in 2006. 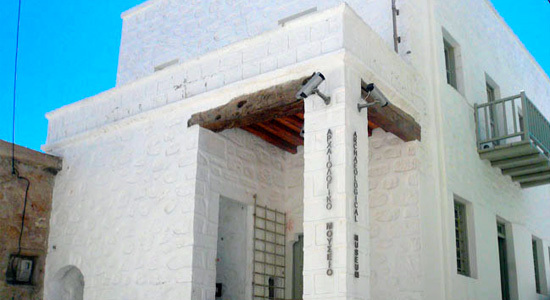 The first floor is dedicated to the island’s ancient history, starting from the Upper Neolithic; the exhibition includes numerous objects and text panels; a short film is projected regularly. The reconstruction, under a transparent floor board, of an ancient tomb as it was discovered is the most impressive exhibit. 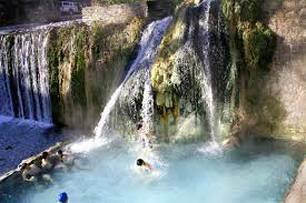 Milos, thanks to its volcanic make as well as to its post-volcanic hydrothermal activity, is blessed with many thermal baths, famous since antiquity for their medicinal, therapeutic and curative actions. Hippocrates, in the Fifth Book of “Epidemics”, mentions the full recovery of an eminent Athenian who suffered from skin disease, after visiting the Lakkos Baths on Milos. Another mention of the island’s therapeutic potential is by Joseph Pitton de Tournefort, a famous French botanist, in his traveler’s texts written in 1771. The island is host to numerous hot springs with different temperatures and water composition. Maps with seven detailed routes complemented by concise text guide the visitor’s discovery of the island’s unique geology, wealth of mining history and present, and beautiful natural environment revealing a so-far “secret” Milos. Geologists, mining engineers, foresters, cartographers, and historians combined their expertise and insights to take the traveller on a journey to unprecedented aspects of this Cycladic scenery. 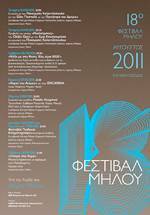 The Cultural Milos Festival is held every summer with great success; S&B Industrial Minerals S.A. was the original founder of the Festival, 11 years ago. 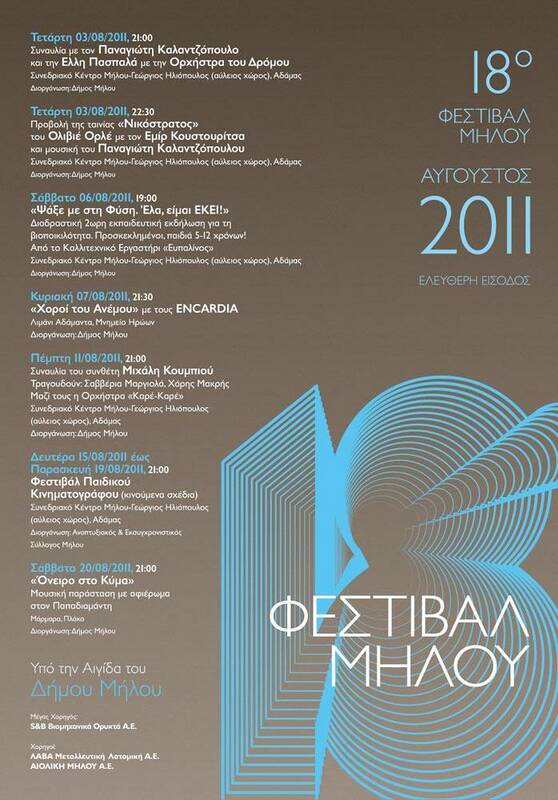 In recent years it is organized by the Municipality of Milos, with S&B being the major sponsor. The Milos Festival, along with music events, includes also art events and theater performances, held on several sites of the island. Several of these events are hosted at the Milos Conference Center installations. The inhabitants of Milos, loyal to their customs and traditions, are inviting you to attend feasts and events where you will have the chance to taste traditional food and local wine, to dance and have fun under the sounds of popular island music.